The Wallabies should perform an Aboriginal dance before Test matches because Australia’s Indigenous heritage needs to be not just recognised, but celebrated. It’s been debated before, but the subject of an Aboriginal dance has been raised again by someone who knows all too well what it’s like to be grilled over Indigenous symbolism in sport. 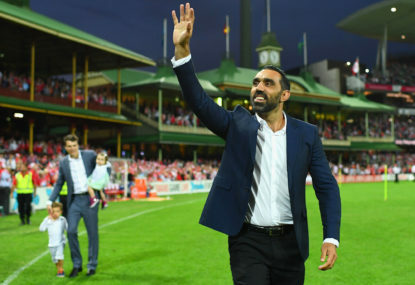 Adam Goodes copped a mountain of flak when he performed his spear-throwing celebration after kicking a goal for the Sydney Swans in an AFL match three years ago. The 2014 Australian of the Year’s jig was regarded by some as being inappropriately aggressive and uncalled for on the sporting field. I loved it. 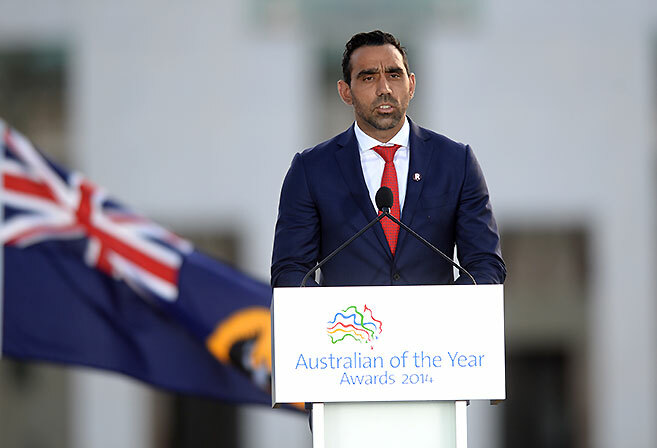 The pride and the passion was raw and it was a massive middle finger to those who had hounded Goodes – a proud Indigenous man – for a couple of seasons. Goodes was talking to Anh Do on his ABC program Anh’s Brush with Fame last night when he spoke about wanting football codes in Australia to implement an Indigenous dance – similar to New Zealand’s famed haka – in coming years. It doesn’t need to be long. It doesn’t need to be complicated. But a sincere nod to our history in the form of an Aboriginal dance, performed by the Wallabies squad just before kick-off, would be a great way to highlight Australia’s heritage. For the Wallabies, it would be particularly profound given how international rugby union is and how millions of global eyes get the chance to watch Test matches. Or maybe more of a song and dance should be made about all this. Is it too much to add some Indigenous lyrics to the national anthem sung before Test matches? Roar legend Spiro Zavos wrote passionately about this more than two years ago. Jess Mauboy’s rendition of Advance Australia Fair on Australia Day in 2016 – in which she started with the words of the anthem in the local Indigenous language of the peoples of the Hawkesbury, Georges and Nepean rivers region, then followed with the verses sung in English – was “mindblowing”, he said. Spiro noted there were a few complicating issues, mainly that there are many languages within the different Aboriginal nations, and therefore a standardised version would need to be agreed upon. He also made the point that South Africa, after the release from prison of Nelson Mandela, incorporated verses of the national anthem in Zulu, Afrikaans and English that gives “a sense of the complexity and traditions of South Africa”. The adoption of some Aboriginal and English lyrics in the Australian national anthem sung by the Wallabies would similarly be a more suitable way to combine the country’s dominant cultural influences. At the very least, the Wallabies should wear more of the Indigenous-designed jersey they pulled on for the first time last season, and not because Australia scored a rare Bledisloe Cup win. “’Mate that might be the secret to beat the All Blacks, having that jumper’,” Wallabies legend Mark Ella told Michael Cheika after the Wallabies’ 23-18 win in Brisbane. Rugby Australia should be applauded for introducing the jersey and hopefully they will soon announce in which Rugby Championship Tests this season they will be worn by the Wallabies. Kurtley Beale choked up when last year he helped to unveil the jersey. The Israel Folau ‘homophobic’ tweet controversy proved the rugby authorities can mobilise quickly when they wanted to promote their equality and inclusion policies, as well as protect their commercial interests. For a sporting body that aims to be progressive, RA should keep their feet moving and with Adam Goodes, work towards creating an Aboriginal-inspired pre-Test dance for the Wallabies.